How wonderful that entirely through happenstance, I found myself once more in the Sean O’Sullivan Theatre with the Niagara Symphony Orchestra on the occasion of the 1500th article for JWR. It was especially appropriate as the very first live music review here was published January 28, 2002 (cross-reference below). Much has happened to both the NSO and JWR since. Then conducted by Daniel Swift, the orchestra seemed to do its best work when visiting soloists (Rivka Golani lit the fire singlehandedly) or guest conductors (Edward Serov brought the house down with Tchaikovsky’s Fifth Symphony) came to town. 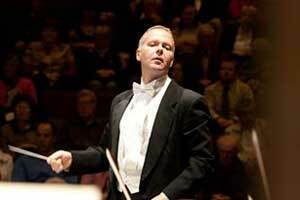 Anxious to complete the process and have a music conductor on hand, the decision was made to hire Bradley Thachuk. Three years after last hearing him and the orchestra, I was anxious to discover just what progress had been made. I’m happy to report that the orchestra sounds more vibrant than ever. Probably Thachuk’s greatest asset is his infectious kid-in-a-candy-shop delight in seeing and hearing the music unfold before his very eyes. Once he manages to combine that unbridled joy with greater understanding of the masterpieces at his fingertips, both he and the NSO might well be onto the next plane of accomplishment. If that metamorphosis could coincide with the opening of the new arts centre, then patrons will come from wide and far to experience The Miracle on St. Paul Street. There were “just” two works on the program: both monumental scores from Beethoven. His only violin concerto (forever intertwined with the most unlikely—to musicologists—candidate as the master’s “Immortal Beloved,” Stephan von Breuning—yet after reading their letters, a distinct possibility) and the ground-breaking “Eroica” symphony. 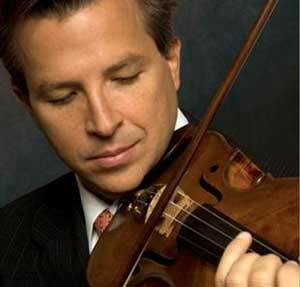 Succeeding veteran Charles Haupt as concertmaster of the Buffalo Philharmonic Orchestra in 2006, Michael Ludwig was an excellent choice as soloist. His body language readily served as assistant conductor and his exquisite musicality was contagious. He wisely opted for a decidedly lyrical, no-nonsense approach that provided many beautiful, ideally crafted phrases. Curiously, his initial entrance (gentle octaves out of nowhere) was barely audible, more a vagary of the arid acoustics than anything else (much better in the recapitulation, standing in a slightly different spot). But when the “Finale” arrived, Ludwig threw caution to the wind and led a merry chase that frequently had Thachuk and his charges gasping for breath trying to keep pace. The audience was justifiably exuberant and rewarded with a wee bit of solo Bach that demonstrated just how cautious the violinist had been performing with the orchestra; left to his own devices, the lines ebbed and flowed like never before, entrancing the rapt crowd with every magical bar. After intermission, op. 55 showcased the current state of the NSO’s art. Collectively, the strings are much improved even if still too many wayward open strings spoil the broth—especially at odds with E-flat major. The woodwinds continue to be the stars with some especially fine work from the first-desk oboe and flute. Sadly, maddeningly at times—witness the fun and games of the “Scherzo’s ”Trio—the French horns added more unease than security. Trumpets and tympani acquitted themselves with élan. Musically, the performance never settled into its own skin. Right off the bat: in three or in one?—similar to the concerto’s in two or in four?—beats to the bar is often very helpful to the lines, but—more often than not—Thachuk’s “switches” produced uneven tempi and untidy ensemble (notably the repeat of the exposition in the “Allegro con brio”). With so many different lengths of notes from delicate pizzicati through full-bore legato (and the underpinning harmonic subtext and potentially stunning changes of register) it’s a pity that the maestro’s “stick” doesn’t show an equal number of textures, thus playing the orchestra much the same as those who perform in it.